*THIS IS ON HOLD, for now. 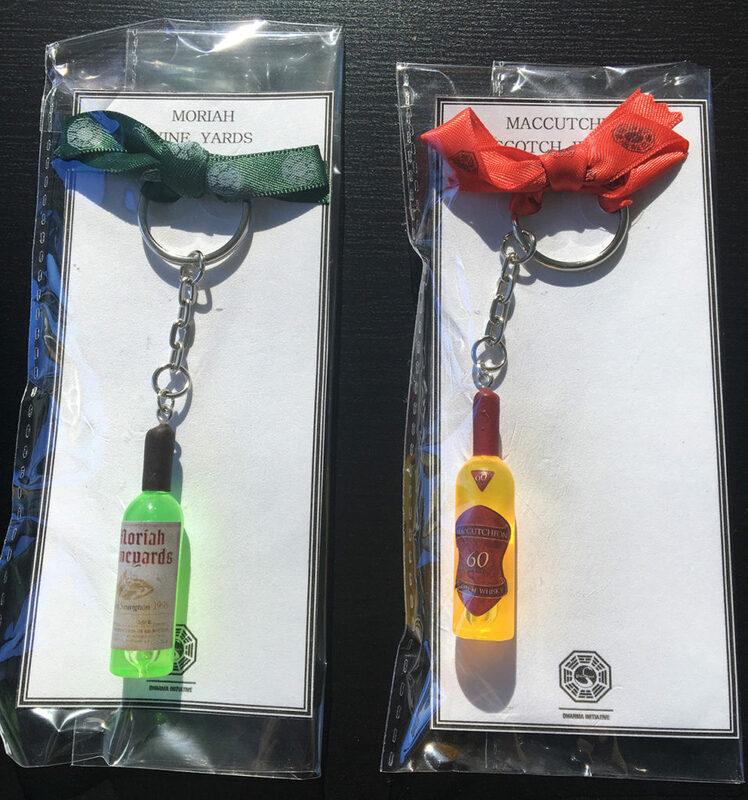 We apologize, but we have to temporarily suspend our keychain offer until we can figure out a better solution for shipping. 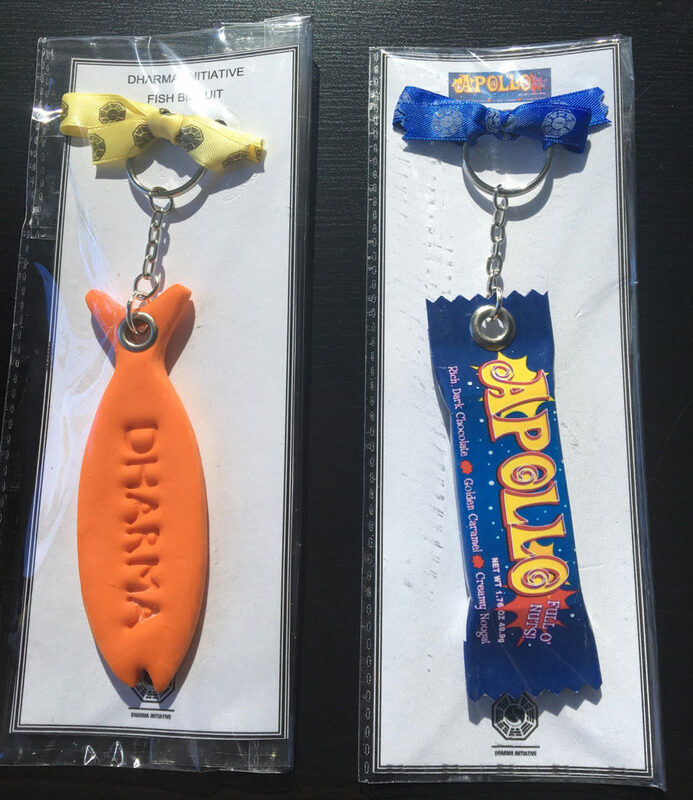 Originally, we offered free shipping worldwide; however, the cost of packaging and shipping keychains around the globe was far more expensive than we estimated. **For those that have made donations to CGL thus far, THANK YOU! All keychains have shipped to those that participated in this first round of the giveaway. If anyone is still interested in making donations in any amount to Cancer Gets LOST, of course you’re welcome to! Alas, we are not going to be sending out any more keychains until further notice. Please stay tuned! Hello friends! While it is not our style to ask for donations to Cancer Gets LOST directly, we thought we’d let you know about a very cool item that we’re giving away to those that do contribute $10 or more to CGL. Huge thanks to Martin Evans for creating and donating 8 different styles of custom LOST keychains, which we are thrilled to now be able to give away to kind friends of CGL that contribute to our ongoing charitable endeavors! If at any time you would like to make a donation to CGL, you will find the DONATE button at the top of our home page. Then when you click on the Donate button on that page and the Paypal page opens, you will see the name of our fiscal sponsor, FJC: A Foundation of Philanthropic Funds (they run our Paypal account). If you have a Paypal account, you will see the log-in on that page. If you do not have a Paypal account, you can still make a donation to CGL using your credit card via Paypal! No limit to number of keychains/styles per person. These keychains are NOT for sale; they are to be used in this giveaway only. 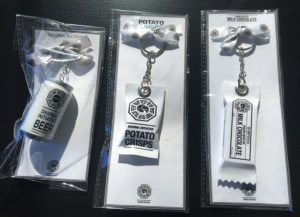 Please forward your email receipt to us (cancergetslost at gmail dot com), and note your shipping address plus keychain preferences (number of keychains, and styles). It will be first come, first served in terms of keychains available. Our giveaway will remain open until supplies run out, and we will let you know when that is about to happen. As always, we encourage that you follow CGL on Twitter, Facebook and Instagram for more frequent updates and auction item previews! Every custom LOST keychain is packaged in plastic, with a Dharma ribbon atop each and a CGL sticker on the back. All keychain shipments will begin on December 1, via regular mail. However, we are not able to guarantee delivery of keychains before December 25, 2017! 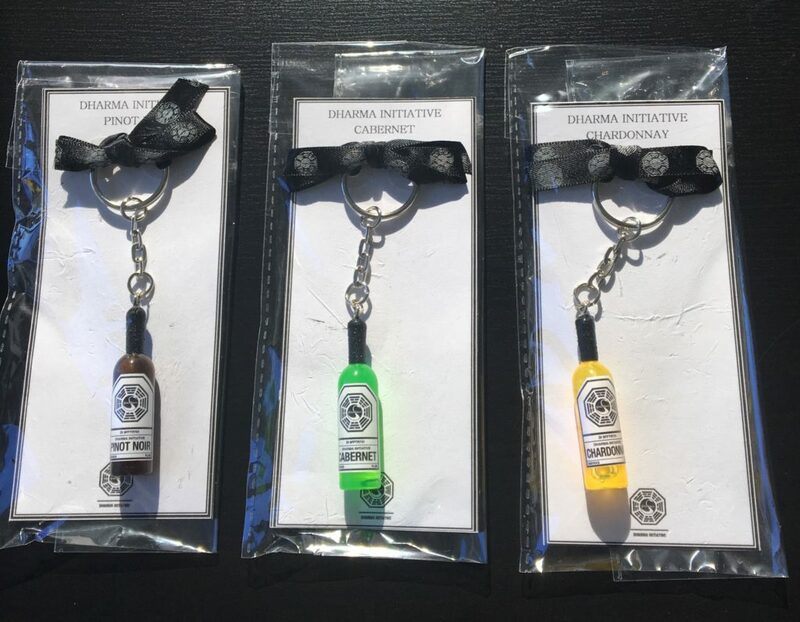 CGL is paying for the packaging and shipment of all keychains, so we do appreciate your patience in advance. And yes, we will ship internationally! We are grateful for any contribution you make to Cancer Gets LOST, as it helps to cover our operating expenses and allows us to continue hosting the best possible charity auctions that we can! As always, if you’re interested in donating a potential auction item to CGL, please let us know via email, Twitter or FB! We are open to memorabilia from popular movies and television shows, and the item donation cut-off for our next online auction will be March 1, 2018. The official launch date for our huge 2018 online charity auction, featuring 500 items from 50+ shows and 15+ films is August 1, 2018! 2016 CGL Charity Auction: Logistics! Just a few of the many items signed by The Walking Dead cast! As you know, our 2016 Cancer Gets LOST Charity Auction opens online to fans around the world on August 15, 2016 – featuring almost 500 items from 45 TV shows and 15 films, many of which are signed by actors, producers and writers! The auction will be hosted by Blacksparrow Auctions and 100% of the net proceeds from the CGL auction will be donated to Alex’s Lemonade Stand Foundation for Childhood Cancer. Alex’s Lemonade Stand raises awareness of childhood cancer causes, funds cutting-edge research projects and creates travel programs to support families of children receiving treatment. For those of you interested in supporting Cancer Gets LOST but aren’t necessarily interested in bidding on memorabilia in the auction, there is always the option to make a tax-deductible contribution to CGL via FJC, our fiscal sponsor! On the top right of the CGL homepage, there is a “Donate to CGL via PayPal” button, for your convenience. Financial donations help offset the costs of shipping and auction hosting fees, and we appreciate every cent contributed toward the cause. Clarke art signed by Eliza Taylor (The 100)! If you’re interested in donating an item to this or future CGL charity auctions, we are always grateful for and open to pop culture contributions! Please contact us via email (cancergetslost at gmail dot com) any time. The deadline for 2016 auction item donations is July 24 (the final day of SDCC), as catalog and auction item photography will be well underway (because the auction opens on 8.15.16)! In previous online CGL charity auctions, and as is standard in all online charity auctions, winning bidders were required to pay a Buyer’s Premium to the auction host – in addition to the winning bid and shipping (usually this ranges from 15-20%). For the 2016 Cancer Gets LOST Charity Auction, CGL has decided to cover ALL Buyer’s Premium fees – which means that when you win an item in our auction, you will ONLY have to pay the final bid price plus shipping! For example: in 2014, if you bid on and won a poster in the CGL Charity Auction for $100, you paid $100 + shipping + a 20% premium ($20). In our 2016 auction, if you win a poster for $100, you ONLY pay $100 + shipping. And FYI: Blacksparrow Auctions does offer combined shipping when multiple items are purchased by the same buyer! Shipping of all auction items will take place throughout the month of September, following payments received. Blacksparrow Auctions aims to have the 2016 CGL Charity Auction digital catalog available for you to peruse and download shortly before the auction opens on 8.15.16. Look for the link here and on Twitter and Facebook. Starting prices on the items in our auction will vary, but we made sure to include smaller and more affordable options for fans of all ages! The Flash script signed by many of the cast! We also have a nice selection of limited edition, rare and signed items in our auction from films like Star Wars, Captain America: The Winter Soldier, Guardians of the Galaxy, 10 Cloverfield Lane and more! We will post more details about 2016 Cancer Gets LOST Charity Auction logistics, including registration and payment options, in a few weeks. * If you’d like to receive an occasional email update via CGL newsletter, please just send us a quick email with your preferred name and email address (Cancer Gets LOST at gmail dot com)! Thank you so much for your interest in our upcoming charity auction! We are honored to be able to donate our net proceeds to Alex’s Lemonade Stand, to assist children battling cancer and the families supporting them. CGL hopes to raise a significant amount in our auction to contribute to their crucial childhood cancer treatment and cure research. Our next charity auction launches in just a few months – on 8.15.16! Hosted online by Blacksparrow Auctions, the 2016 Cancer Gets LOST Charity Auction will feature rare and/or signed items from over 45 television shows and 15 films. Blacksparrow will release a digital auction catalog for you to peruse around the same time as the launch, and we will post all links once available! The online CGL Charity Auction will be open to everyone around the globe, from August 15, 2016 – September 3, 2016. 100% of the net proceeds from this CGL auction will be donated directly to Alex’s Lemonade Stand Foundation for Childhood Cancer, a terrific organization that raises money for and awareness of childhood cancer, in support of research into new treatments and cures. The 2016 CGL Charity Auction will be dedicated to the memory of our good friend Bonnie Craft, who was quite possibly the world’s biggest LOST fan and a genuinely lovely human being that we think about and miss every single day. SMALL SCREEN: YOUR FAVORITE SHOWS! We are delighted and honored to feature rare or signed items from the following fan-favorite and cult classic TV shows: Agent Carter, Alias, Alcatraz, American Horror Story, Arrow, Bates Motel, Battlestar Galactica, The Big Bang Theory, Breaking Bad, Castle, Colony, The Comeback, Dexter, Doctor Who, Fear the Walking Dead, Firefly, The Flash, Friday Night Lights, Fringe, Game of Thrones, Glee, Gotham, Hawaii Five-O, Jericho, The Leftovers, LOST, The Middleman, Once Upon a Time, Orange is the New Black, Orphan Black, Person of Interest, Scandal, Smallville, Sons of Anarchy, Supernatural, Twin Peaks, V, The Vampire Diaries, The Walking Dead, The X-Files and The 100! Films represented in our charity auction include: The Avengers, Cooties, Friday the 13th, Gremlins, Guardians of the Galaxy, The Incredibles, The Jungle Book, Kill Bill: Volume 1, Love Actually, Mad Max: Fury Road, A Nightmare on Elm Street, Star Wars: The Force Awakens, Tomorrowland, World War Z and 10 Cloverfield Lane! 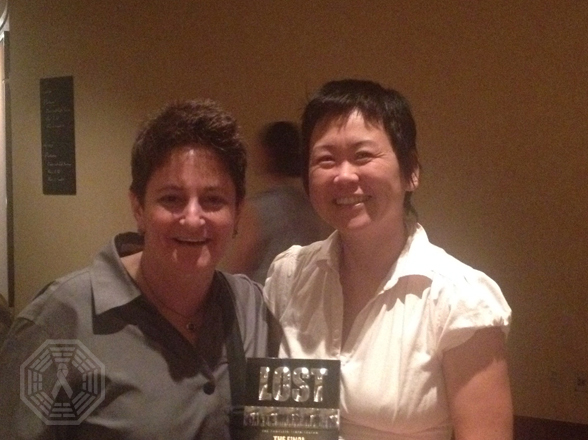 Typical of an auction year, you will find the two of us at many pop culture events around the country; our favorite venues for networking and connecting with fans and industry friends – all of whom are incredibly supportive of and generous to CGL. Please come say hello if you see us at any of the following events! 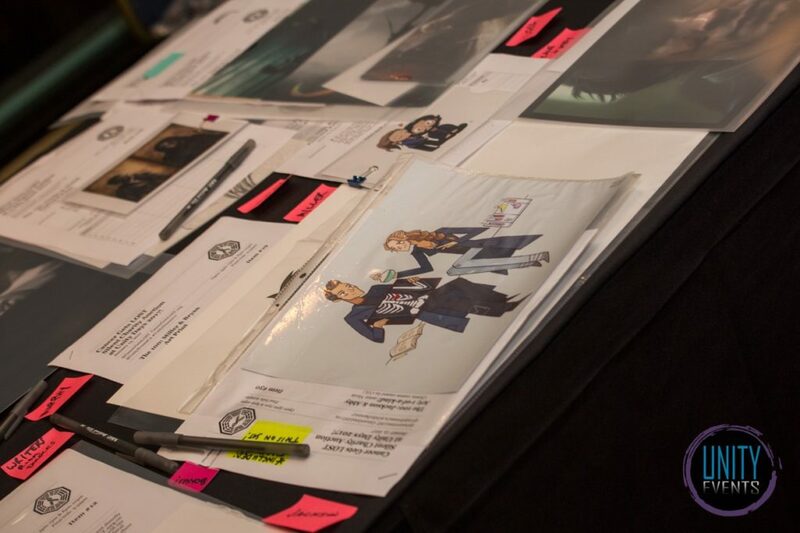 We are always open to and appreciate item donations to our current and future charity auctions, from original fan art to autographed photos to screen-used costumes and more. 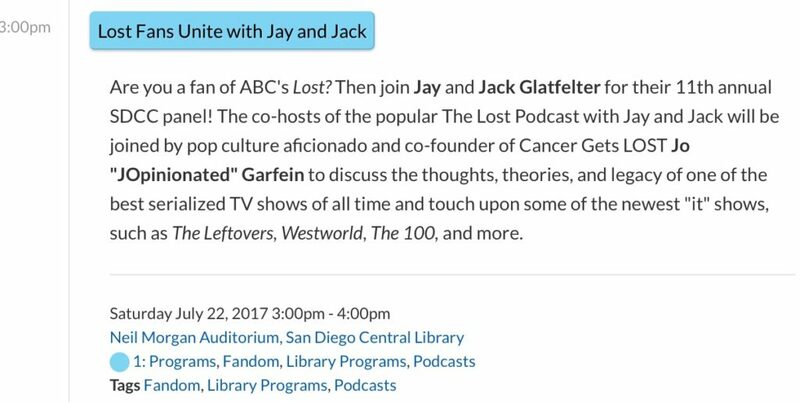 If you’re interested in possibly contributing an item or have any questions regarding CGL and our auction, please email Jo (CancerGetsLOST at gmail dot com)! If you’re not necessarily interested in bidding on any memorabilia in our charity auctions but would like to make a donation, we do now offer an easy option for financial contributions in any amount through our CGL Paypal set up via our fiscal sponsor FJC! There is a Paypal button at the top of the home page of this site, for your convenience. Thank you very much for your interest, word-of-mouth, contributions, donations and general enthusiasm – all of which further inspires us to continue channeling fans toward the greater good in support of various cancer charities via CGL auctions. 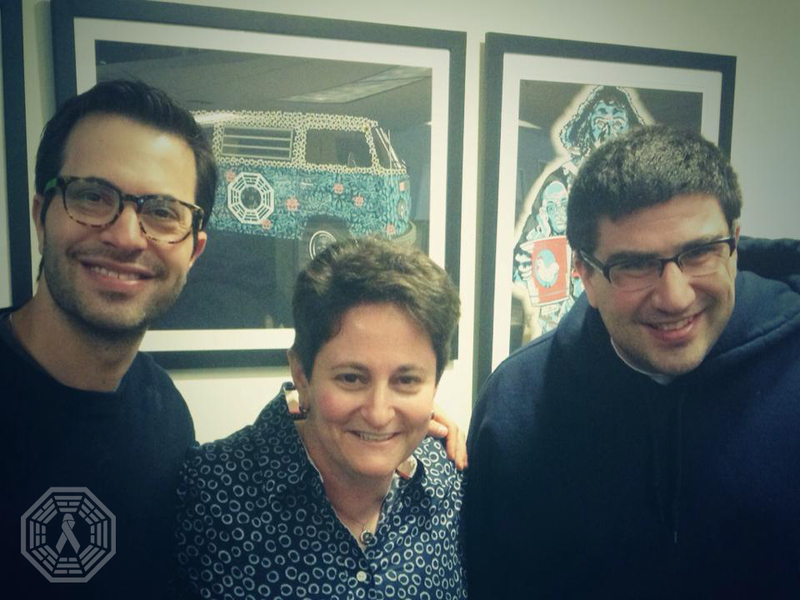 CGL in 2015: An Update! Hello you all everybody! This is a long overdue update about what Cancer Gets LOST has been up to and what we have planned for the next two years. In 2014, CGL raised almost $80,000 for the American Cancer Society through auctions and live events – thanks to your incredible generosity and support! In April of this year, you helped us raise over $2,000 for Alex’s Lemonade Stand in the U.S. and The Brain Tumour Charity in the UK! Later this year, we aim to host a smaller online fundraiser, in memory of our dear friend Bonnie Craft. 20-40 items will be up for bids via CGL on eBay; 100% of net proceeds to benefit a cancer charity (TBD). Thanks to Jared, CGL’s C0-Founder and Autograph Acquisitions Manager, Cancer Gets LOST has a new look! We are in the process of moving hosts/servers and updating this site, and will incorporate the new banner – as well as potentially create CGL t-shirts and other merchandise. 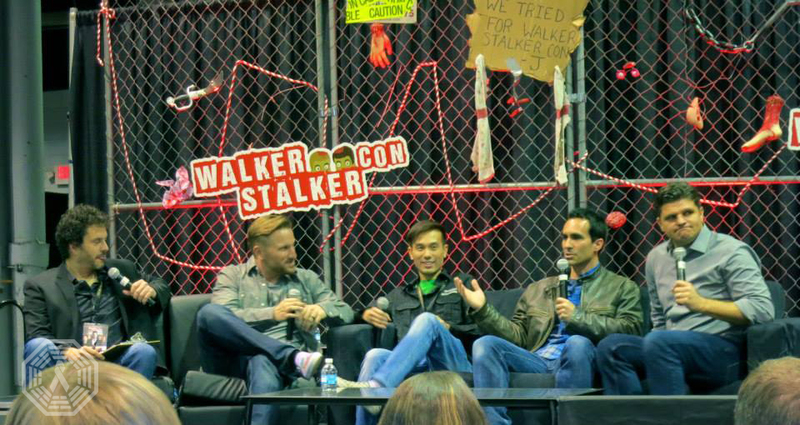 Jared continues to work for Walker Stalker Con and travels with them to every city on their tour, which is fantastic – because the kind folks at WSC allow him to get items signed by the actors at the cons for our next charity auction! In addition to almost all cast members from The Walking Dead, Jared has secured autographs on auction items from actors on Breaking Bad and LOST (including our friends Nestor Carbonell, Mira Furlan & Harold Perrineau, and Henry Ian Cusick and Elizabeth Mitchell)! We are thrilled to announce that anyone interested in making a financial donation directly to Cancer Gets LOST is now able to do so via Paypal! Please click on the Donations tab above for more information. Our next large online auction will begin on August 15, 2016 (yes, LOST numbers: 8.15.16), hosted by our partner Blacksparrow Auctions, and will feature several hundred rare and/or signed items from various television shows and films! 100% of net proceeds from this auction will be donated directly to Alex’s Lemonade Stand, a terrific organization that funds research to find better treatments and cures for children with cancer. 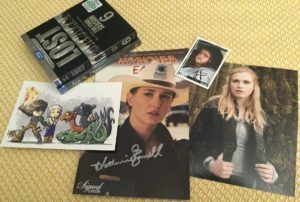 Thanks to amazingly generous actors, writers and producers that I’ve been meeting with (as well as lovely friends acquiring items on our behalf), we now have rare and/or autographed memorabilia for our next auction from over 25 shows (new additions include The 100, Orphan Black, Sons of Anarchy, The X-Files) and films like Star Wars! For a complete list of shows and films represented in our next auction thus far, click on the 2016 Auction tab above! 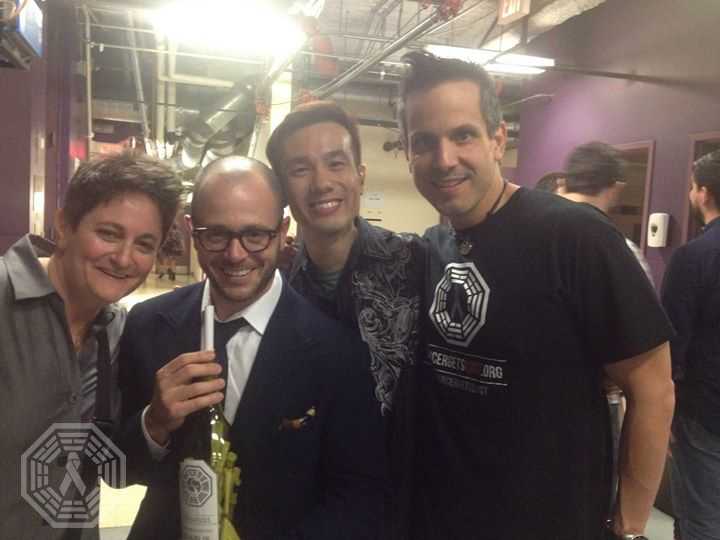 Although neither are seeking credit for donating anything, we are delighted to share that both Damon Lindelof and Bad Robot have made incredibly significant item contributions to our 2016 charity auction! In addition to many rare and signed LOST items, we now have props and limited edition memorabilia from Alcatraz, Fringe and Person of Interest! We will both be attending San Diego Comic-Con once again this year, doing what we love – connecting and collecting! There is a slight possibility that we will be hosting a casual CGL meet-up (with a charitable angle of course) on Saturday along with our friends at The 100 Charity Project, so stay tuned to our Twitter and Facebook pages for updates. If you see us around, please come introduce yourselves and say hello! 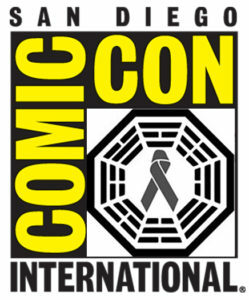 In addition, we are strongly considering and looking into having a Cancer Gets LOST booth at SDCC in 2016! Charity auction items would be on display, and we would feature a Donation Drop Off area for attendees who are interested in donating any rare/signed items or memorabilia of interest that they acquired at the con for our next charity auction! We will keep you posted, should this become a reality. Thank you for your interest in and support of CGL! Our goal with Cancer Gets LOST is always to channel incredibly generous fans toward the greater good. With that in mind, we are supporting two amazing cancer charities this month via a small online CGL fundraiser beginning today (4/8/15, the best LOST date yet) and have fun incentives to encourage your contributions! This will be EASY, and we are thrilled to be able to send you something rather cool when you make a donation. If you live in the U.S. or Canada and you make a $15.16 donation to Alex’s Lemonade Stand OR if you live in the UK and make a £10.80 donation to The Brain Tumour Charity by 4.23.15 – we will send you a limited edition numbered LOST badge set! Created and kindly donated by RetroCo.com (which just happens to be run by LOST fans) exclusively for CGL, this edition is limited to 108 box sets. Each set contains 8 different LOST pins, every set contains different pins and no two sets are alike! The charities selected to benefit from your generosity on this occasion both do amazing work; we chose Alex’s Lemonade Stand – a terrific organization working to eradicate childhood cancer, and Chris from RetroCo chose The Brain Tumour Charity because they raise vital funds for the scientific and clinical research of brain tumors. At this time we have 60 of these badge sets available to those who make online donations to Alex’s Lemonade Stand in the U.S./Canada and 15 badge sets available to those who make donations to The Brain Tumour Charity in the UK. If you live outside the U.S./Canada/UK, you can still donate to either cancer charity organization, but you will need to be able to provide an address within these countries for us to ship to. This giveaway will be open from 4.8.15 through 4.23.15. Please allow several weeks for shipping and delivery. We will cover ALL postage costs! Every penny YOU donate will obviously go directly to the charities. * * UPDATE: As of 6pm PST on 4/9/15, all 60 of the badge sets have been claimed for donations to Alex’s Lemonade Stand!! Thank you all everybody SO much for your amazing generosity! Please keep in mind that we are receiving donations to Alex’s from folks not using our link, but their contributions count too! If we receive their receipts, they are considered in the same order received as all others. If you made a donation anyway – we do appreciate it!! We simply do not have any more sets to give away for contributions! HOWEVER, if you make a donation to either charity by 4/23/15, you are still eligible to win one of the bonus incentive items below! Thanks to MJ Carpenter for donating the framed print to the cause! To be eligible to receive a limited edition LOST badge set, simply forward your email receipts from Alex’s Lemonade Stand or The Brain Tumour Charity to us (cancergetslost at gmail dot com). We will respond to let you know we’ve received it, and let you know if badge sets are still available by that time. * Please be patient, as we are overwhelmed by the sheer number of amazing responses thus far! We will email you back to let you know we’ve received your receipt! A huge note of gratitude to Chris L. for donating these custom badge sets; without him, this fundraiser would not be possible! Thank you so much for your consideration and support of these two wonderful cancer charity organizations.